This seems so easy yet is so difficult. When you start thinking about writing a travel blog the name doesn’t really seem a big deal, just think of something ……… anything. It doesn’t matter what it’s called as long as it’s interesting right? Wrong. Every blog is unique and as such deserves a unique name. All of the good and great blogs have their own theme or feel and the name is critical to get them noticed and above all remembered. Just think of Kate Loves Travel or Living the Q Life. The names are everything. Once you’ve decided to make the leap and start a travel blog then take my advice and take a little time choosing the right name. A good name could launch the site into the stratosphere but a bad one could easily fatally wound it and cause it to sink without trace. So take your time and research as many existing blogs as you can before making your final decision. Once you’ve started with a specific name it’s very difficult to change. Especially if you have used that name across all of your social media channels too. A great idea is just to list all of the travel blogs that you follow or like to get a feel for names and naming conventions that truly work. You will very quickly see what types of name interest you and those that don’t feel right. What type of Travel Blog are you creating? The million dollar question right? Well maybe not. There are so many different reasons that people start their own blogs but there are three main types. Your blog can be any one of these of a combination of all. Some travellers just want to keep an online diary of what they are up to and where they’ve been and a blog is a perfect way of doing this. These types of blogs are not aimed at any particular audience and range from text driven diary entries to photo stories. These are really online letters to family and friends sharing your experiences whilst you’re away. Again they can be as simple or complex as you like but tend to be a little more personal and chatty in their language. Full time travel blogs are a completely different beast to the Personal Diary and Keeping in Touch type of blogs. They are aimed at maximising page hits and followers and reaching out to as many people as possible. Often the main drive is to make a living through blogging so advertising, guest posting, and sponsorship is the goal. Many Career Blogs develop from the Personal Diary of course as bloggers get more experienced and decide that they want to dedicate more time to their travel blogs. Nothing wrong with that but it is worth bearing in mind when you first choose a name that the name needs to work on all levels. ‘Stevo’s Travelling Shout-Out‘ may be fun when it’s just aimed at your friends but would it be effective if you decided to become a full-time blogger? You could just use your name and let the content speak for itself. Nothing wrong with that except it will mean your name gets plastered all over the internet. Susie Lindau’s Wild Ride is a great example. If you don’t want your whole name used then a lot of writers use just their first name with a cool and trendy travel-type description, like Deb’s World and Where Katie Went. 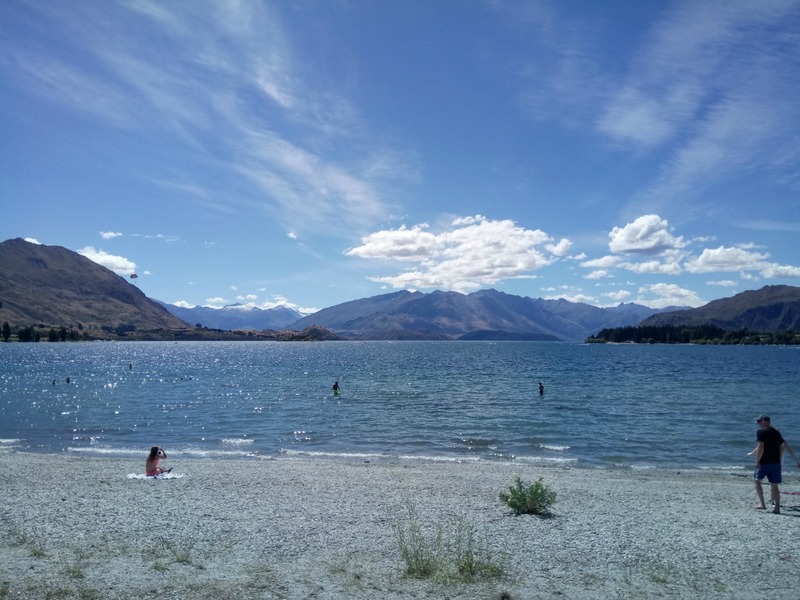 There are others that concentrate on a particular part of the world like Aussie Mum in New Zealand or even a specific city such as My Adventures in Munich (I love Munich, it’s just the best city I’ve ever visited ………. so far). These obviously speak for themselves and often these niche blogs that concentrate on a specific place are far more successful than general blogs. Travel Guide type of travel blog. Of course there are the creative professional sounding travel blogs that actually look like official travel guides, and are often as good as a professional travel guide. These take far more work and dedication to author and tend to be absolutely jam-packed with masses of information. Sites like Eat, Sleep, Love Travel are amazing. Finally you could just go for something way out of the box like Couchpotatoes Abroad or My Dusty Flip Flops. These names are so memorable and can stick in peoples minds better than a generic travel blog name like ‘Travelling around the World‘. Also, its unlikely that anyone else will ever choose the same name so it ticks the unique box. It can work against you if you’re not careful though as it’s not always obvious what the blog is all about so be careful. This one is all about careful and creative branding. Before choosing a travel blog name for your new blog make sure that you read as many other travel blogs as possible. Some of these bloggers have been working on their sites for years so go and check out how they do it and how they brand their blog. You may find inspiration along the way and have a ‘lightbulb moment‘ where your new blog name just comes to you. Some of our favourite travel blogs are well worth a read. Take some time and have a look at some of these wonderful sites. When we first decided that we would write a blog we did what everyone else does and just surfed as many travel blogs as we could find. Some small chatty ones and some huge full-time blogs. It took us a while just to get a feel for the travel blogging world and to realise just how many blogs there are out there. It’s not until you start looking that you understand that there’s a whole world of travel bloggers out there. So we listed a bunch of blogs that we liked and decided that we wanted a semi-professional sounding name rather than something like ‘Jon and Jo Go Wandering‘ so came up with as many silly blog names as we could to get the ball rolling. It’s really just as important to decide on what names you don’t want and you don’t like. Once you have a long list of all sorts of names you can quickly and easily edit that down to a few possible and probable ones. We almost went with ‘Don’t Forget Your Toothbrush‘ but at the last minute a suggestion from our son of ‘JWalking‘ just sounded so right. Below are just a few ideas on what you could call your new travel blog, some good and some not so good. It really is a matter of personal choice though. Don’t try to think of a name that other people will like, decide on one that you like. If you’re happy with your blog name then you’ll be happy publishing content too. Remember also that you need to use this name across all of your social media channels as well such as Facebook, Twitter and Instagram. Just a few of the ideas that we had before settling on JWalking. Be great if they were used elsewhere so please use them if you like. There are thousands of unique and not-so unique travel blog names being used so I guess the difficult thing is just to choose one that fits you. Let me know what you think. This article has become the most popular page on our site incredibly so hopefully a lot of you are getting a few tips on how to choose a name for your blog and what names not to choose. Please let us know what more you would like to read about and what we’ve missed. Pretty good name though I think, describes what the blog is about. Looks good to me. There is one downside, and it’s something that didn’t matter so much when I created it; it’s to do with social media presence. The smallest I can get my blog name, and still maintain the same brand, is 17 characters. Twitter (especially notable) has a character limit, so my Twitter handle (@rtwbarefoot – again ‘decided by committee’ as being the ‘best of a bad job’!) doesn’t really reflect my brand name (the nearest I could get – a vowel-less ‘brftbckpckr’ – is so awkward to type that I dismissed it). In addition, some sites have restrictions on special characters. My website (and thus e-mail address) has a hyphen between barefoot and backpacker, while my Facebook has a full stop, and Instagram has an underscore. While only a little thing, it means they are different and therefore I have to write them all out separately rather than combining them on a business card. I didn’t know this would be the case at the time (as I never had Instagram when I started the blog). So, yes, when choosing a blog title, I’d also say: think of where you’re going to use it, consider which social media you’ll use, check to make sure no-one’s already using the name you want on one but not the others, and try to be consistent! 🙂 Remember too that, while it’s fine to rebrand if you’re not happy with the name, or if you find you’ll clash with someone, or even if you change your entire blog remit, if you have developed a following, rebranding will confuse and potentially cause people to stop following you as they’ll no longer know who you are. You’re also most likely going to need a ‘tagline’; that’s a whole different issue, and one I’m still having problems with! 🙂 (A bit like my icon!). Great ideas and a lot of valuable information specially for new bloggers like myself. Thank you. No problem, thanks so much for visiting and for your kind comments. Thanks for this! I’m thinking about using a name with ‘roam’ considering my name is romy I think it adds a funny touch as well. But I’m still thinking of something 🙂 especially because I also want to make an instragam account, I want to make sure to have a name I can both use for a website as for an instagram account. Take your time Romy as you won’t want to change the name once you’ve started. A constant name across all social media and your blog is ideal. Roam works well for a travel blog of course, once you’ve decided what you like just check no other blogs use it. I think we have a good name for our blog as it is what we do full time and travel in between! I’ve tied it in on my site, that I’ve got my hair up and ready for adventure. Which is the kind of girl I am, not fancy, country, hair in a ponytail lol. Fingers crossed with hard work it all takes off! Great list you have built. It is important to know the pros and cons because the type of name you get really depends on what your looking for. I agree that my favorite style of name was the creative ones. Indicates the industry but being interesting so its catch and a more brandable name. Thanks, you’re so right about getting an interesting name that creates your brand. So important to get the right blog name. Really great post! We have had the blog names struggle for sure. It wasn’t mean to be a business, just a diary and at that time the name was most meaningful to us. however, now that we are abroad full time we constantly have to explain to people what the heck “duffels” and “mutts” are. So, i would like to add to this list…not to use words that are slang or trending. Still, I think uniqueness is important…as sometimes the general blog names are strangely hard to remember. We recently met a couple that had a bog name that was something along the lines of “Road travelers? Traveling the road? Roadtrip Travelers? Traveling by Road?”..We can’t remember which one so we can’t find them because there are many, many blogs with similar variations. In that case, the name was a bit too generic. As for us, we ultimately have decided to just stick with the name anyway. At least we are unique and it’s impossible to confuse us with another blog. Our name has a story and people do remember it…even if we did have to explain it 10 times first! Thanks Charlie, glad you enjoyed reading it. I was just going through your blog about how to name a travel blog, and I am a say it’s literally filled with a lot of knowledge and mind blowing tips!! So thanks a ton for that! !I strongly need your help with the name for the blog. Can you plz give honest suggestions for the name “Coddiwompleboots” as I liked that one more. Hi Sahil. It’s a strange name that is difficult to say so I’m not that keen on the name. Something a bit simpler may be better. ‘Sahils Boots’ or ‘Boots of Sahil’ may work. Thanks for the mention. Yes getting the name is key…. my blog is getting some success although it still needs a lot of work. I made a name change a couple of years ago and stuck with it. It’s a lot more important than you realise when you begin blogging isn’t it? Fairly critical in fact. Your name is brilliant though, perfectly descriptive.